If there are two things Wisconsinites love, it's alcohol and dairy products. 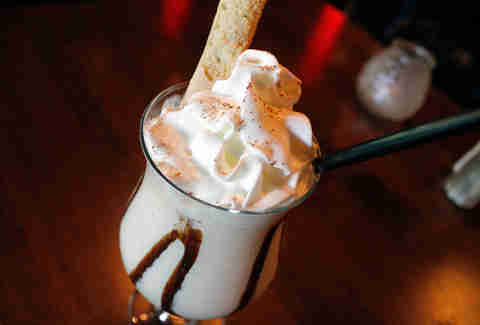 So it makes perfect sense that we perfected the art of combining the two into booze-fueled milkshakes. What's more fun than getting sauced during your Friday burger lunch when no one around you even realizes you're drinking? Here are the best places in Milwaukee to sip a boozy dessert. After you devour your French onion soup, cheese curds, and giant steak, you'll probably want to sip your dessert leisurely at the bar. While you can never go wrong with a Grasshopper or Pink Squirrel, it's the Pal Joey that should be on your radar. 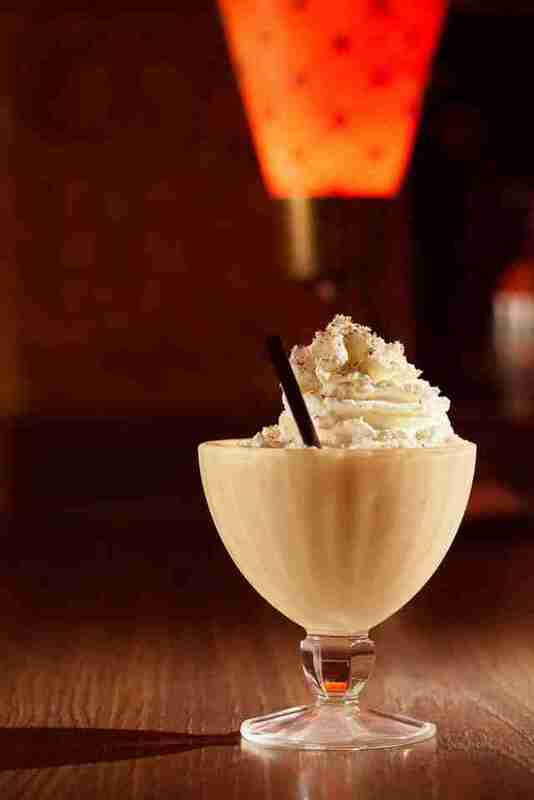 This concoction blends Kahlua, Bailey's, amaretto, creme de cacao, and mascarpone cheese with vanilla ice cream for something like a tiramisu in a glass. A sprinkle of freshly grated nutmeg lends a fragrant punch of spice. This beloved bastion of Tiki drinks and ice cream cocktails closed recently while searching for a new owner, and although no one has stepped up to buy the business yet, this classic joint quietly reopened its doors last month -- so get in there while you still can. Everything here is a throwback, and we suspect the lights are red to keep people from noticing that the space is as dingy inside as it looks outside. However, Milwaukeeans are not the sort who get deterred by a dive, so we still happily belly up to this old-school bar for whatever crazy ice cream concoction the team can whip up... complete with a cookie hanging around the straw. 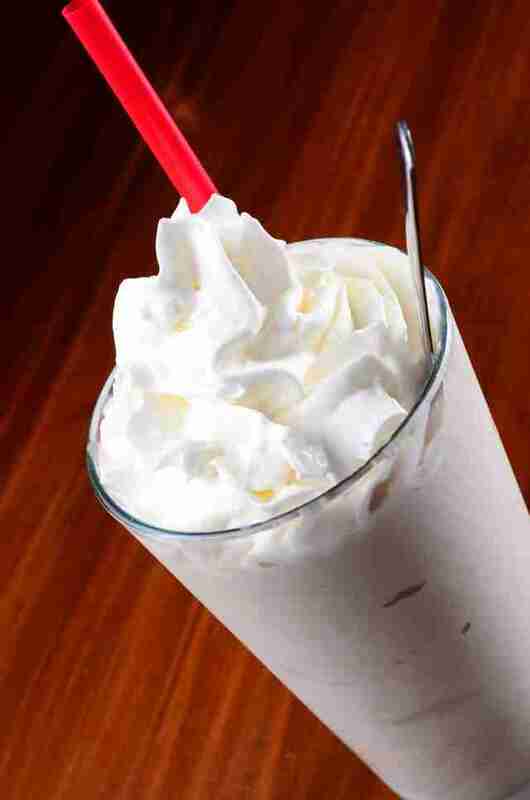 There are a DOZEN spiked shakes to choose from on the menu at Point Burger Bar. You'll have a hard time deciding between the Campfire Smores and Salted Caramel Brittle, so take one for the team and just order a flight of shakes. That's right: you can get five little glasses of boozy ice cream, so you'll never have to make a decision that difficult again. There are some unique flavors on offer here, from chai tea with coconut rum to macadamia nut with Kahlua. 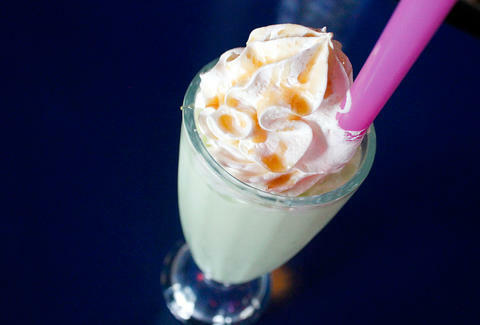 Like all good supper clubs, Supper offers a large selection of boozed-up shakes, though joints like these tend to prefer the more refined moniker "after-dinner drinks." You can order up classics like the Brandy Alexander, but since Supper goes for a modern spin on the supper-club concept, consider trying one of the updated drinks, like the Space Travel, which combines Wisconsin's hyper-local Blue Moon ice cream with hazelnut liqueur. 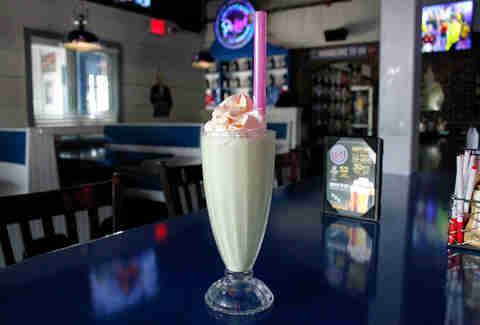 Sure, you can get any of the shakes at Stack'd without alcohol. But why would you order something with "virgin" in the name? Two of the shakes incorporate local Sprecher soda for a blended float kind of deal: the orange dreamsicle combines Sprecher Orange Dream soda with vanilla ice cream and citrus rum for an extra-bright pop of flavor that'll take you on an adults-only trip down nostalgia alley. Some specials include local ingredients like Purple Door ice cream and house-infused liquor, so be on the lookout for those. 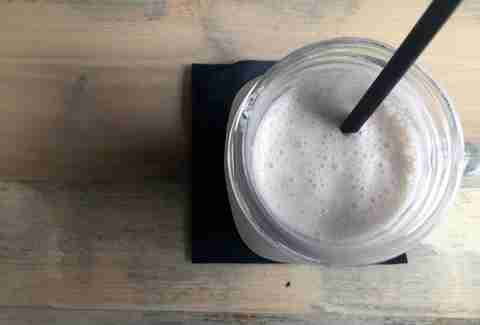 Though it's really a wine bar, you can get a simple-but-tasty spiked shake at Black Sheep. It uses top-notch ingredients for a sophisticated beverage: a combination of Purple Door salted caramel ice cream and Jameson whiskey, which makes for a smooth, rich drink. You already passed up the roasted cauliflower for the burger, so you might as well just completely throw your diet out the window and drink up this rich dessert. Open since 1938, Bryant's is the quintessential cocktail lounge. The Pink Squirrel, a popular after-dinner ice cream drink at many supper clubs, was actually invented right here at Bryant's, so of course you should try that nutty, pink cocktail first. But if you're not quite sure what to try next, just ask the bartender for something with ice cream. They'll whip up an outstanding drink in no time flat, based on what you like. That's why this is truly a cocktail lounge -- there are no drink menus, because the bartenders are the drink menu. Lacey Muszynski is a Milwaukee native who prefers her shakes spiked. Follow her on Twitter @worthhersalt.